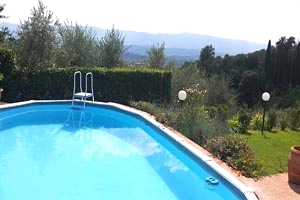 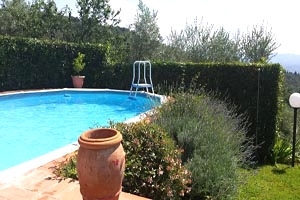 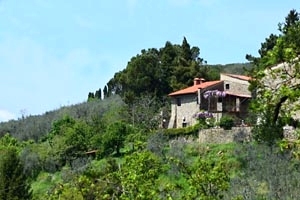 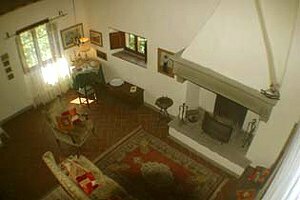 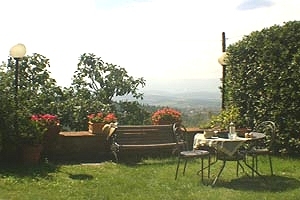 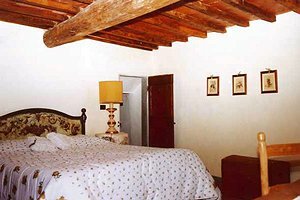 The farmhouse (8+1 sleeping accommodations) was in origin a tower house built in the 14th century in a medieval village immersed in the Tuscan countryside between the Casentino and the Chianti district, in Castelfranco di Sopra, in the province of Arezzo. 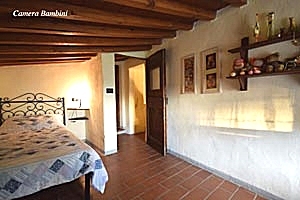 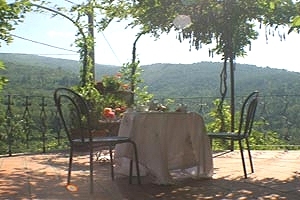 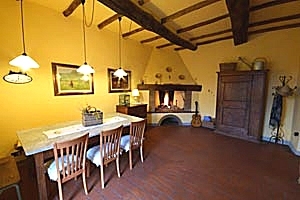 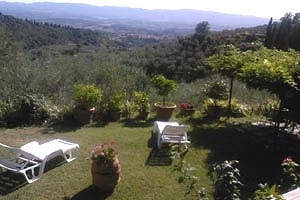 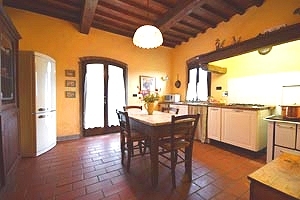 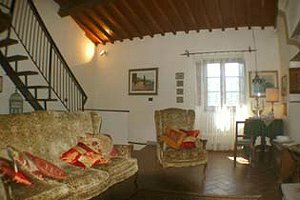 The farmhouse is situated in an area rich in castles, Romanesque parish churches and wineries. 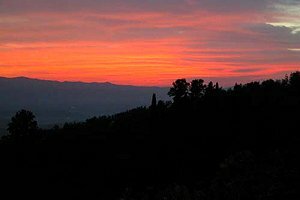 Not far from the estate the characteristic geological phenomenon called "le Balze" is to be admired. 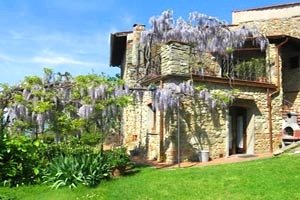 For the joy of shopaholics, just a few kilometres from the farmhouse is a large outlet. 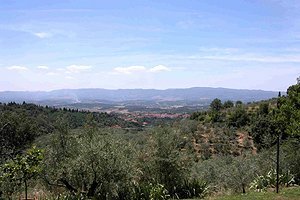 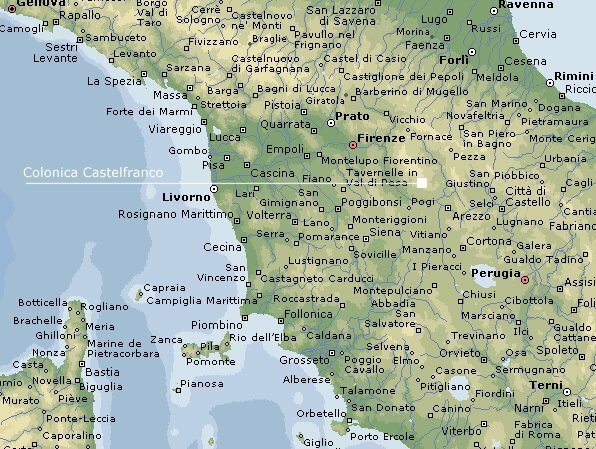 Important Tuscan cities of art, such as Arezzo, Siena and Florence, are easily reached by car. 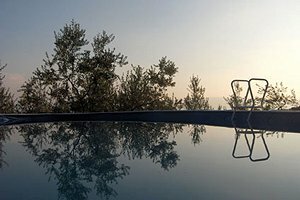 In the garden surrounding the three-storey building are the panoramic swimming pool open from April, 30th to October, 8th and furnished with deck chairs, sunloungers and sunshades and the barbecue equipment. 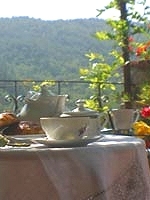 The garden is furnished with tables, chairs and gazebos. 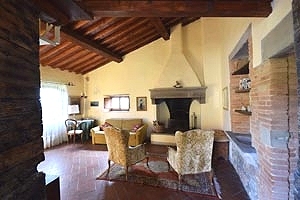 The farmhouse (1 triple bedroom, 2 double bedrooms, 1 single bedroom + single sofa bed and 2 bathrooms) is provided with all comforts: car park, fans, independent heating, working fireplace, iron and ironing board, 2 cot beds, high chair, washing machine, dishwasher, fridge, freezer, toaster, American-style coffee maker, electric juicer, moka coffee maker (various sizes), oven, microwave oven, wood-burning cooker and four-burner gas cooker. 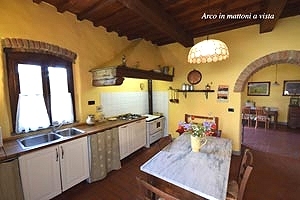 On the ground floor are the large fully equipped kitchen, the dining room with fireplace, 1 bedroom with a double and a single bed and 1 bathroom with shower. 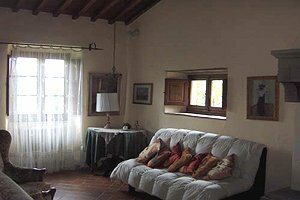 The first floor consists in a living room with fireplace, 1 double bedroom and 1 bathroom with shower. 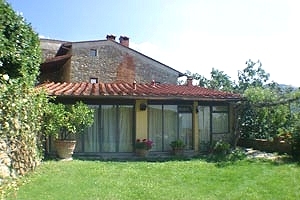 Here are also a panoramic portico and a large panoramic balcony. 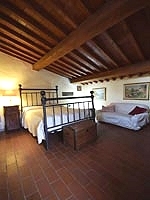 On the second floor are 1 bedroom with a double bed and a single sofa bed and 1 single bedroom.